Group GMAT preparation is a good way to keep yourself motivated during the arduous process of studying for the GMAT exam, the first step towards getting into your desired MBA or Masters program. With our GMAT courses you'll get help from some of the most talented teachers in Paris and you'll get access to our patented GMAT mathematic and verbal material that combines the ideas of all the top GMAT preparation programs with our own strategies and shortcuts. GMAT courses will work well for you if you're starting out with a near average ability level and you have at least two months to study. If you're already really strong academically or if your GMAT math or verbal level is very basic, you might be better off taking private gmat tutoring. To find out what your level is, contact us , and we'll give you a free online GMAT practice test and some free sample questions to start out. Once you have taken the practice tests we'll show you how to prepare for the GMAT and help you make GMAT study plan that fits your needs. You can also check out our free articles and videos to help you get started. Lastly, we know that many students work full time which is why Vincia Prep conducts their classes on Tuesday nights and on Saturday mornings near St. Lazare or in the Marais. Next group class: May 28th to June 29th. Classes on Tuesday nights from 19h45 to 21h45 and Saturday mornings from 9:30 to 13:45. Is this course not soon enough for you ? Or would you like something closer to private tutoring? Ask us about our GMAT mini-group sessions for 2 or 3 students for 1650 euros. Missed a course completely ? No problem. You can repeat classes as many times as you would like for three months. All of our classes take place on Tuesday night from 7:30-9:30 P.M. and Saturday mornings from 9:30 A.M. to 1:30 P.M., making it easy for you to come to class even if you're working full time. Furthermore, the GMAT course is located at 41 rue Chaussée or 46 rue Saint Antoine. Not sure if our GMAT classes will work for you? Come by and try one of the classes out for free or schedule a private appointment with our top GMAT specialist who will analyse your specific case. After we know where you want to go, how much time you have to study, and what you current level is we'll come up with a plan to help get you there. Before we get started we'll have you take a free online practice test so that we'll have a better idea of what needs to be done for you. With the help of your free analysis we'll help you avoid common mistakes that could cost you hundreds of hours of studying. During this session we'll show you that it's not only what you study, but how you study. 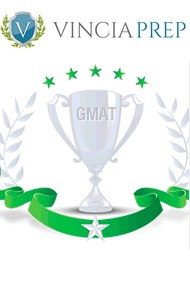 Afterwards, you'll be able to do our 30 hour GMAT class which will help guide you through the entire GMAT. Students will receive a copy of official test problems made available by GMAC, the creators of the GMAT. Math Review Book for the classroom- gives you all the basics you need. As we go along we'll teach you the tricks from multiple other sources as well. Finally, after we go through the basics we'll also teach you the more advanced theory.